Reddit is an online hub where people shares links, content, and stories. Every post made has the potential to generate user discussion, too. 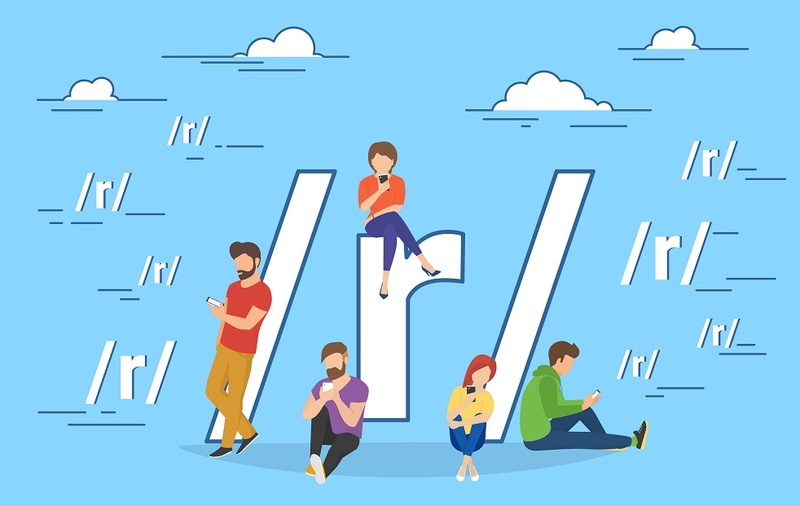 While Reddit as a community doesn’t respond kindly to direct advertising or marketing, it can still be a useful place to get the word out about your site, product or service. Just go about it the right way. Since Reddit has more than 234 million unique users, it’s worth taking the time to learn how to join in and share on the site if you aren’t already fluent in Reddit. Why Should You Market on Reddit? Reddit’s users visit the site more than 500 million times per month. Though there are too many subreddits and posts for every visitor to see them all, that still means a post in the right subreddit can get a lot of attention. Another benefit is that posts with enough upvotes become dofollow links. So if you’re linking to your blog from Reddit, a little positive feedback can help beef up your link profile. Most Reddit users are from the United States, with 54 percent of users being American, and the rest international. 87 percent of users are under 35 years old, while 63 percent are under 25. 70 percent of Reddit users are white. Two thirds of Reddit visitors are women. 42 percent have a college degree, 40 percent have some college education and 18 percent have a high school education or less. 69 percent of users make $30,000 or more per year. The average person spends 14 or more minutes on Reddit. 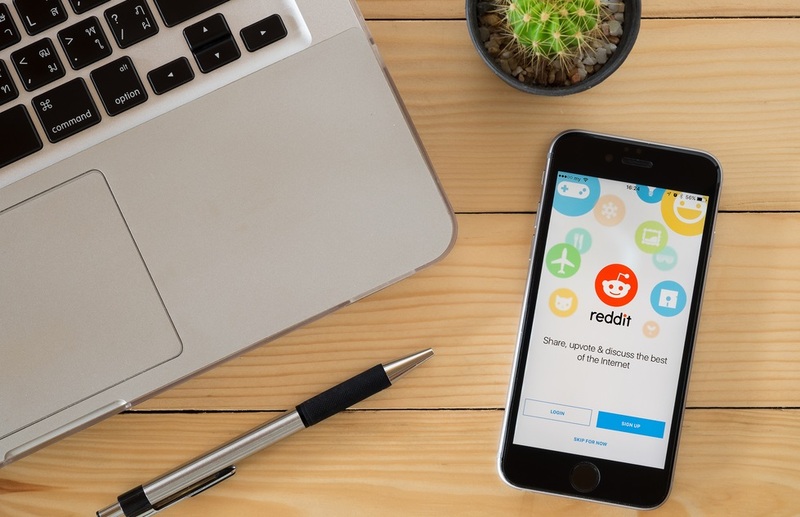 Even if the average Reddit user isn’t the primary demographic you’re targeting, you can still get traction. Targeting the right group is all about choosing the right part of Reddit to post on. Reddit is separated by topic or interest into subreddits, each of which has a particular focus. The name of a subreddit is designated by /r/name. For example, one of the largest subreddits is /r/askreddit, where a person asks a question and anyone with an account can answer. Another is /r/funny, where people post mainstream, funny posts. Reddit users can comment on any post, provided they follow the rules of that particular subreddit. Each subreddit is run by moderators who set and enforce the rules. 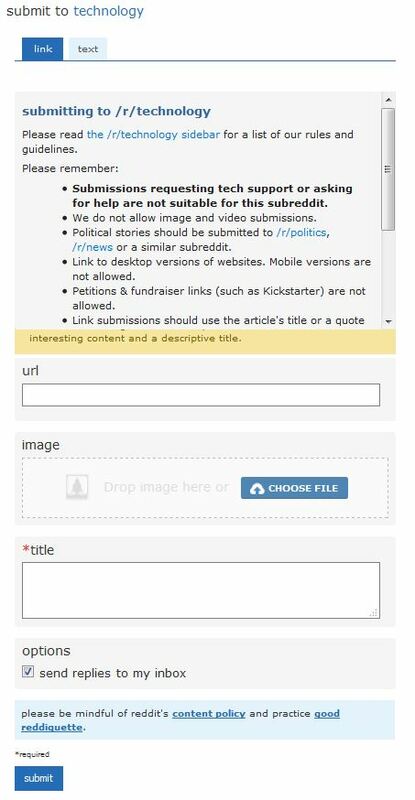 On the desktop site, the rules are posted on the right of a subreddit’s main page. Read the rules before you post or comment on any subreddit. If you don’t, your post could be removed and you could be banned. Every person can either upvote or downvote a post. Posts on Reddit itself and in each subreddit are made more or less visible in the list of posts according to the number of upvotes and downvotes it gets. Posts with more upvotes are more visible. Comments function the same way, where votes determine visibility. This is the main page of Reddit. Navigate to Reddit and choose “Sign Up”. Make a username that you’ll remember, that isn’t personally identifiable, and that isn’t offensive. Choose and verify your password, then enter your email. That’s all it takes to make a Reddit account. As soon as you sign up and have an account, you’ll be able to comment on posts. 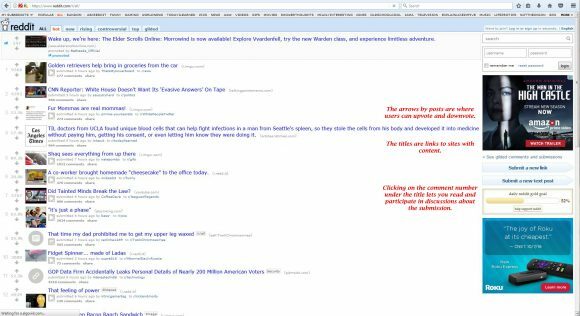 The first posts you see will be the most popular ones on Reddit, because you aren’t subscribed to any niche subreddits yet. Refrain from commenting on these at first, until you’re more familiar with the site. Think of your account and all your comments as your first impression with every Reddit user. It’s important to get a feel for the site before diving right in. So read through the comments and start learning reddiquette, which means the loose rules and values of the site. One important thing to know about Reddit is that users don’t like direct advertising. If your post or comment looks like an advertisement, it will likely be downvoted or removed. Check the rules of the subreddit, of course, but a dislike of marketing is part of the Reddit culture. So choosing what to share isn’t only about knowing what product, service or site you want to promote. It’s about deciding how to share it. One way to do it is to comment on posts where people are looking for what you have to offer. Of course, part of the way to do Reddit marketing correctly is to use an account with some seasoning. If it already has a significant number of upvotes, non-marketing posts, and submissions, your posts are less likely to be seen as just advertisements. If you don’t already have an account, today is the day to start one. Once you have an account, subscribe to subreddits that reflect the interests you and your business have. These subreddits aren’t only the place you’re going to share your content, but also the place where you need to read and comment on others’ posts. You can find relevant subreddits by using Reddit’s search function. Look on the sidebar of the subreddits you find to subscribe to, because they may list relevant subreddits. Read through posts and look at the r/subreddit they come from, then click to be taken to the subreddit. Ones with more subscribers are better than empty ones. Subreddits with active posting are better than those in which no one posts on a regular basis. Being active on the subreddits you choose will help you build a strong Reddit profile. You don’t need to hide that you’re a business owner, but promotion shouldn’t appear to be your primary reason for being on Reddit. Become a part of the community and your promotional posts will have a better outcome. The best way to make a post on Reddit is to find someone directly asking for what you have to offer, responding to it, and letting them know about its benefits. In that way, you’re responding to exactly what is desired by the audience. Another way to make a post is to develop content that fits into that which is shared on a subreddit. Some subreddits share articles about interesting paths to hike, for example. If you’re selling outdoor gear, write a blog post that is similar to the ones shared, then share it. As long as it offers utility and is in line with the subreddit, it should be welcomed. Keep in mind that people can go through your post history to see both your comments and submissions. So even if you’re commenting on something that isn’t relevant to your business, people may be able to find links to your content from your profile. The most important thing you can do when making a post is to keep it relevant. It should fit into the subreddit where you’re posting. Don’t just jump into posting right away. Start by reading the top posts of all time in the subreddit you’re targeting. See what people upvote. See what interests the subscribers. Spend time getting to know multiple subreddits that might work for you, then start commenting. Once you’ve made a few comments and interacted with people, what is relevant will be clearer. Before posting, imagine seeing your post as an outside reader. Make sure that it would fit in and that you, as a subscriber, would upvote it. Follow these suggestions to keep your Reddit posts the best they can possibly be. The title of your post is what will draw people from the main page of Reddit or the subreddit. It’s what makes them click on your link. Spend a little time deciding what titles is most likely to be eye-catching for your target audience. Test out different types of titles with different submissions until you get a feel for what works. Remember that people can see your profile with a list showing what you posted and when. Take your time making posts. Judge each one you make and adjust your strategy going forward based on what you learned. Make a few comments at least between every post. Participate in the community. Also, make sure that some of your posts aren’t self-promotional. If someone looks at your page, you should appear to be a Reddit user who is mentioning their site or service, not a marketer who is using Reddit as a platform. Post other interesting content outside of your own content. It may also lead people to your profile where they’ll find old posts about what you’re trying to promote. When you start with Reddit, let your first posts not be about what you’re trying to promote. Practice contributing first, then add your own content. Gain both link and comment karma (which are your positive scores for links and comments) before you start marketing. One of the keys to making successful Reddit posts in being in the right subreddit. If you’re not sure, don’t post. Better to wait a day and do your due diligence rather than racing forward and getting banned from the subreddit altogether. Browse the posts. Read the comments. See what makes some posts more popular than others, and then see if you can use that knowledge to make better posts yourself. If you make content that fits into one of the most popular subreddits like /r/technology, /r/todayilearned, or /r/gaming, try posting there. These subreddits have millions of subscribers. Study which posts get upvotes and then try to make content that hits the same target. If you get traction, you may have a lot of new visitors in the future. Subreddits like /r/askreddit, /r/funny, and /r/technology are also good places to get comment karma. Make amusing, non-offensive or helpful remarks and people may upvote your responses. As you get more positive votes, your comment karma will rise. Internet trolls are as prevalent on Reddit as they are anywhere else. Don’t let negative comments on your posts prompt a heated response from you. It’s fine to respond to questions, but never go negative. Maintain your public profile. When making your comment, use proper grammar and spelling. Get familiar with what you can and can’t do on Reddit. The commenting FAQ has information about how to best style your content when you post and comment. For example, you can use Markdown syntax to make what you say more attractive and noticeable. If you think content you have fits into multiple subreddits, don’t limit yourself to one. You can submit to a few different communities with the same content. For example, a post about a video game might fit into /r/games and /r/technology. If you did that, include a note about it in the title. For example, if you were posting to /r/games, the title might be: Study Shows Video Games Promote Learning [Crosspost from /r/technology]. We all make mistakes. If you make a post that does extremely poorly or lash out in a comment, delete it. It will be removed from your profile and won’t show up when users click to view your history. Don’t get too personal and don’t give enough information for people to determine who you are in real life if you want to keep your identity private. When you’re ready to add a hyperlink to a post that doesn’t go directly to the submitted content, do it right. For example, you might post a blog post but want to share the hyperlink to a specific product you’re selling. The absolute best way is to wait for someone to ask for a link. Barring that, it’s best to add it in the comment as supplementary material, as if you decided at the last second to give people more information and another place to check out. Keep it organic. 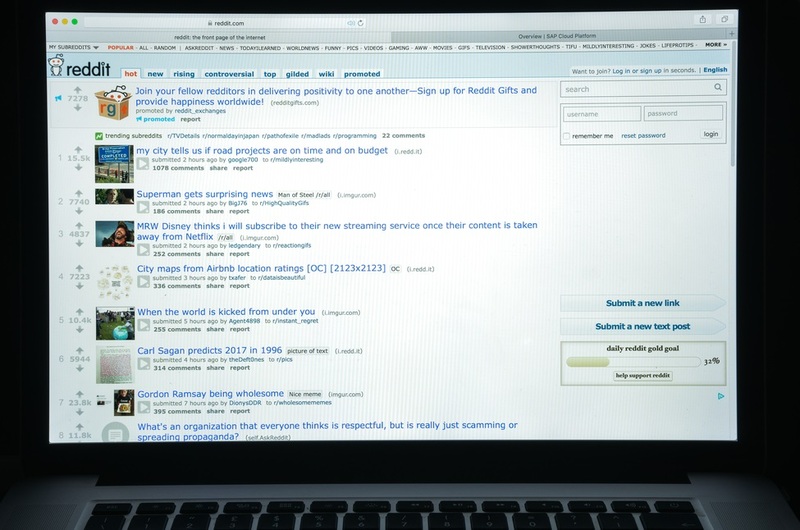 If you’re serious about using Reddit to market, add Reddit Enhancement Suite to your browser. It adds a bunch of neat functionality to Reddit that may help you out. When you’re marketing on Reddit, think of yourself as a community member rather than a marketer. That way you’re posting something that adds value to the community while you gain an audience for what you’re promoting. There are so many different niches on Reddit that you’re sure to find one that’s relevant to you. Jump in today, create an account, and start building up your link and comment karma. Reddit is a popular platform. Voat is also work fine with me. With Reddit I have 5 years old account but certainly not able to convert.